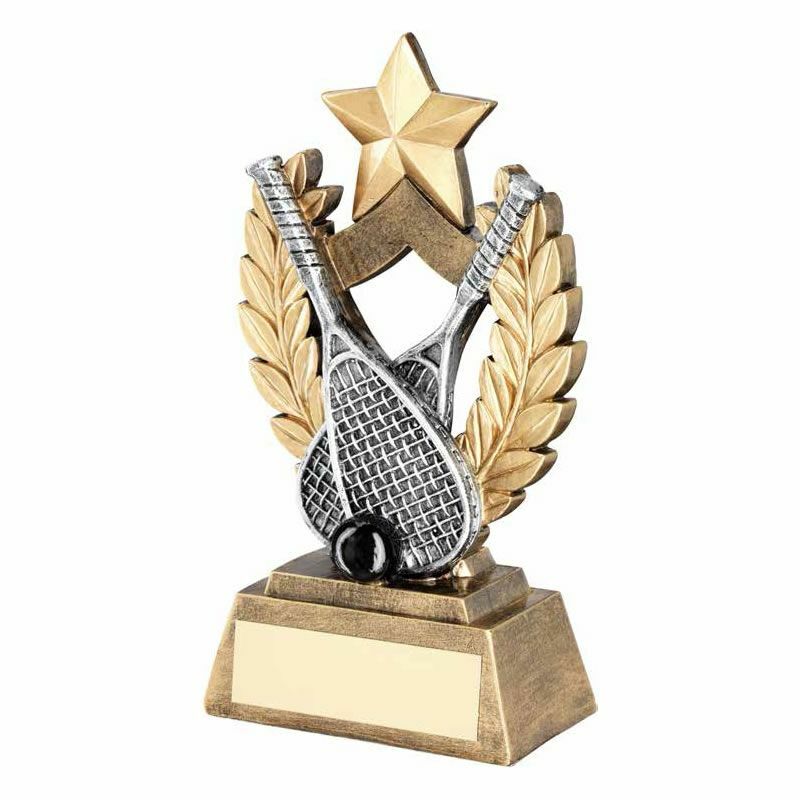 These attractive squash awards trophies are crafted in resin with a bronze and gold colour finish. They feature a detailed scene with two squash racquets, squash ball, laurel wreath background and 1in centre, all mounted on a bevelled base with engraving plaque. Overall height is 6.5in / 165mm tall.